Collective Blog: More decentralization, please! In 2015, for the first time Pakistan held local government elections across all four provinces under a civilian government. All three tiers of government are now democratically elected – something that is unprecedented in Pakistan’s history. However, while this is a crucial step in the right direction, the laws enacted by the four provinces are restrictive and have been criticized by various quarters for not devolving any meaningful powers to the local bodies. 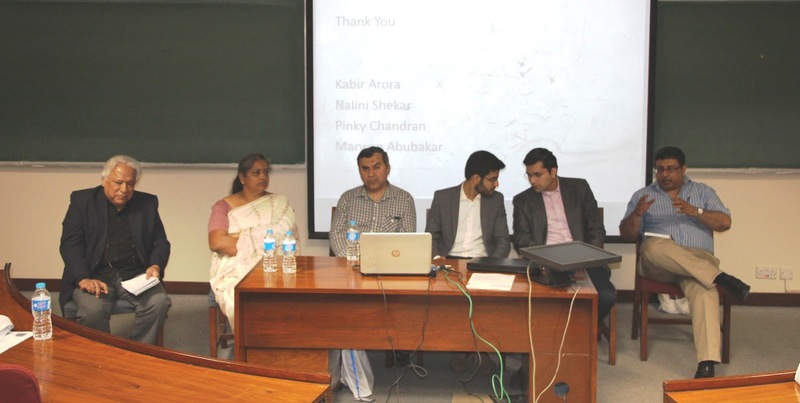 At the recent 10th Annual HSS Conference, held at the Lahore University of Management Sciences, we presented a paper that looked at the relationship between decentralization and urban service delivery. Specifically, we examined municipal service delivery in a multi-ethnic locality in Karachi. One of the benefits of decentralization widely cited in the literature is the increase in accountability and subsequent improvement in service delivery. Our research, which looked into decentralization between 2001 and 2010, found that lower tiers of government were more efficient as compared to higher tiers of government in terms of municipal service delivery. However, crucially, the ability to deliver these services largely depends on the union council or town government having the resources – financial and otherwise – to do so. In the absence of fiscal decentralization – both, transferring funds to local governments and empowering them to raise their own funds – local bodies will remain powerless to solve issues of service delivery. Moreover, fiscal empowerment of local governments is not only important for better public good provision, it is also vital for more equitable service delivery. In an ethnically heterogeneous setting like Karachi, we found that service provision was pivoted upon the dynamics of political competition in the area. Thus, when the party in power at the city level was not the one in power at the union council level, delivery was worse than when the same party was in power. This is because the union council was deprived of funds by the city government, which chose to direct resources towards, and in turn patronize, their own constituencies first – evidence of the weak institutional structure. In the current local government set up, minimal fiscal decentralization has taken place. In fact, only about 5% of Pakistan’s public spending is undertaken at the local level, in stark contrast to India, where it is about 30%. The reason for the lack of empowerment of local governments has to do with the fact that historically devolution has been used (by military regimes) to bypass political parties, which are best organized at the provincial level. Political parties are therefore skeptical of devolving power further below the provinces. The recent elections were only held, after many delays, due to pressure from the Supreme Court of Pakistan. It will take time for the parties to come to terms with devolving meaningful power to the local level. It is now the opposition parties in all four provinces which must mobilize and campaign for greater decentralization of powers. In the long run, this will result in institutional strengthening, which will improve public service delivery.